This page really isn’t about us…It is about our customers, our family. Without them, we wouldn’t be here today. Over the years, we have built relationships, period. 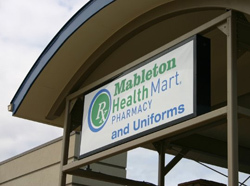 It has been our privilege and our honor for us to call Mableton our home for over 30 years. We look forward to serving you for the next 30 and beyond. Thank you for your loyal support. Please contact us today to learn more about the many custom compounded medications we provide for our Georgia area patients. Call (770) 948-3133.